This is a song that arose from a photograph that I saw when I was a child of some people in striped pajamas prison uniforms with violins playing beside a smoke stack and the smoke was made out of gypsies and children, and this song arose out of that photograph: Dance Me To The End Of Love. From Leonard Cohen’s introduction to Dance Me To The End Of Love at the April 10, 1988 Koln concert. 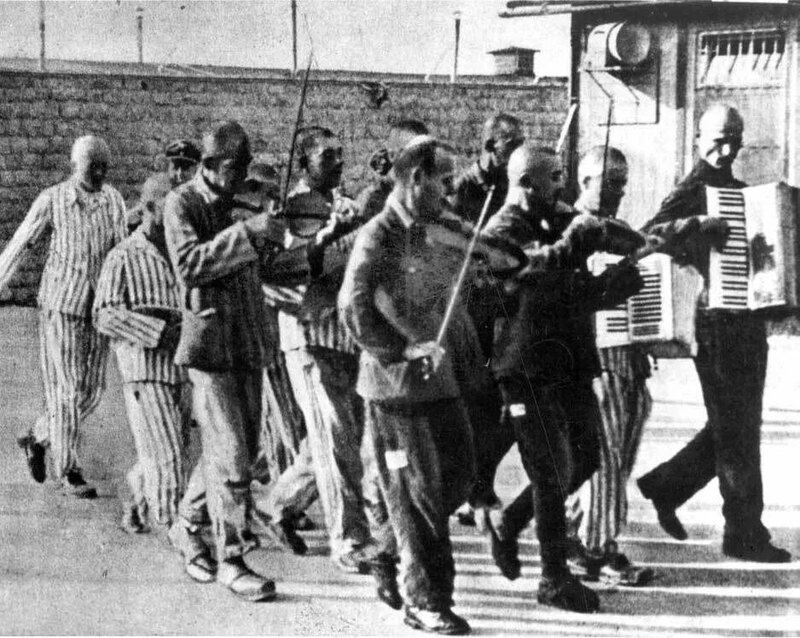 The photo atop this post of prisoner musicians at Camp Mauthausen is only one of several such images and is unlikely to be the specific photo that inspired Leonard Cohen’s Dance Me To The End Of Love. 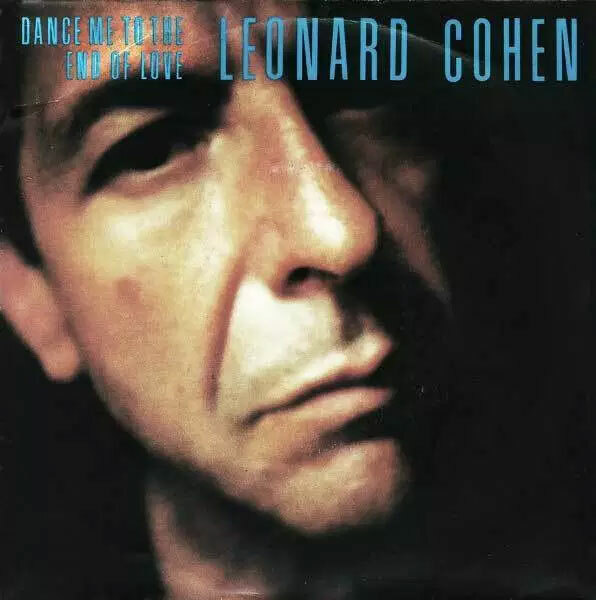 ‘Dance Me To The End Of Love’ … it’s curious how songs begin because the origin of the song, every song, has a kind of grain or seed that somebody hands you or the world hands you and that’s why the process is so mysterious about writing a song. But that came from just hearing or reading or knowing that in the death camps, beside the crematoria, in certain of the death camps, a string quartet was pressed into performance while this horror was going on, those were the people whose fate was this horror also. And they would be playing classical music while their fellow prisoners were being killed and burnt. So, that music, ‘Dance me to your beauty with a burning violin,’ meaning the beauty there of being the consummation of life, the end of this existence and of the passionate element in that consummation. But, it is the same language that we use for surrender to the beloved, so that the song — it’s not important that anybody knows the genesis of it, because if the language comes from that passionate resource, it will be able to embrace all passionate activity. From Leonard Cohen, CBC Radio Interview (August 26, 1995). I am republishing selected posts from my former Leonard Cohen site, Cohencentric here on AllanShowalter.com (these posts can be found at Leonard Cohen). This content of this entry was originally posted May 14, 2011. Thankyou…beauty and sadness and life…….with love.